check out the Collector's Edition! 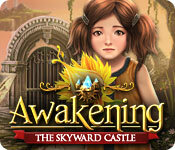 Awakening: The Skyward Castle is rated 4.1 out of 5 by 80. Rated 5 out of 5 by Taintedfury from Awakening: The Skyward Castle Another great Awakening game..very nice graphics along with puzzles leading into other puzzles which will keep you busy. Love the theme music ( had me hooked).. For a standard game the storyline kept me intrigged all the way, which in my book i give this game a thumbs up.. Highly recommend this game. Thanks Bigfish! Rated 5 out of 5 by hermitcave from 4th in the series and by far the best I made the mistake of playing the third installment of this series first (Awakening: The Goblin Kingdom) which tainted my feelings about the series. But now that I have played the first 2 installments and finally this 4th installment, I find the series exceptional. In this episode, Sophia finally returns to her parents home and must free some of the subjects that helped her parents hide and save you from their fate. you still hope to be able to save them learning more about the curse with the help of your owl and pocket dragon helpers. This was by far the longest episode packed with many puzzles and things to do. there is an interactive map but I found it of very little help. The music, voiceovers and graphics are excellent and lend a lot to the game. I did find some difficulty in figuring out what do to next as the goals list just gives a basic " do this next" guide. I found that you had to pixel search each screen or you would miss the tiny spots that contained clues or items needed to move ahead. It seemed that you have puzzles within puzzles to finish before you could move to the next area. There were some HOS throughout the game but mostly puzzles and things to do that required you to fix something. There are 2 more episodes that are available and I have purchased the next one and will get the last one soon. If you like a lot of puzzles then get this one. Rated 5 out of 5 by pennmom36 from Onward And Upward Sophia! Princess Sophia awoke from a 100 year slumber in in The Dreamless Castle, traveled to Moonfell Wood to visit the witch and find where her people are. The witch suggested she ask the King in the Goblin Kingdom and she has finally found her people in The Skyward Castle but is still searching for her parents, the King and Queen. This quest isn't easy because the evil Dreadmyre is hunting her, and she was born without magic! The first thing I noticed about this game, the 4th in the Awakening series, was that the puzzles have become more elaborate and much harder to solve, there are also fewer of them. There are simple puzzles such as finding the two stitches that are connected by following the stitch through a woven pattern, a game of blocks, pic cross and of course rotating puzzle pieces to complete a picture. There are more time consuming puzzles such as fixing a generator. You have to follow the tool guide picture book, page by page, using the inventory pieces and interacting with different components of the generator. The hidden object games are mostly finding 12 switches or carrots but there are also interactive list finds with some of the items located in areas that you zoom into. Ran has joined us in this game for the second game in a row as well as that cute little fire breathing pocket dragon. 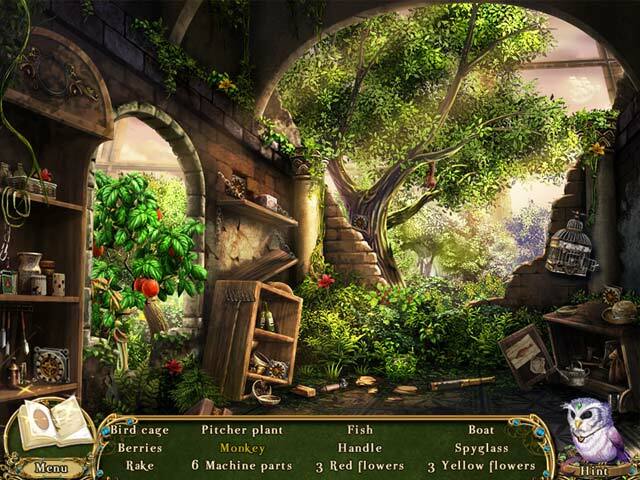 This is a very entertaining series of hidden object adventures, and I recommend you play them all, enjoy! Rated 5 out of 5 by AdrianaIP from Beautiful and clever Mingames in HOS... That's one of the clever twists in this game. 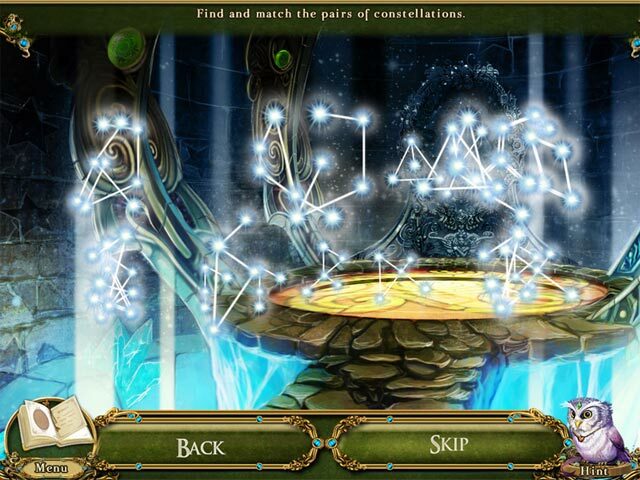 You have to hunt 12 similar elements, You find 9 and the rest you have to find by playing mingames (I loved the runes). That's how clever it is. It is beautiful to look at. The storyline is straighforward, and we finally meet the villain. I love it!!!! Rated 5 out of 5 by lilprincess6565 from AWSOME AS ALWAYS, AND CAN'T FOR MORE! OMG!!! AWESOMENESS!!! LOVE IT! I CAN'T WAIT FOR GAMES, TO HEAL HER PARENTS, SO MUCH SUSPENCE AND MYSTERY!!! ITS AWESOME!!! CAN'T WAIT FOR GAMES!!! KEEP UP THE GOOD WORK DEFINITLY RECOMMEND THIS GAME!!! Rated 5 out of 5 by Pittsburgher1000 from Loved this game I really enjoyed this game. Part of that is because it was a very long game, and you got plenty of game play for the purchase price. I purchased the standard version, so that is saying a lot. 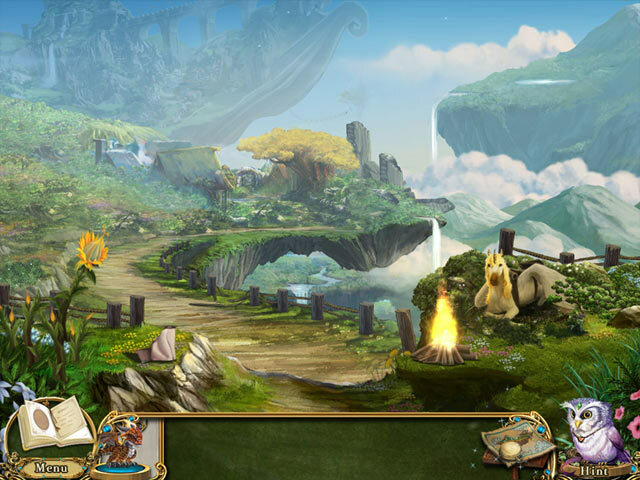 This game leans much more heavily to the adventure and puzzle side than to the HO side. That is one of the reasons I enjoyed it so much, but those who particularly like HO games should be warned. The game is fairly complicated and some puzzles are challenging. I played in the intermediate mode, and had to consult a walkthrough 2-3 times during the game. Most of the time, it turned out that I had missed picking up a game piece at some location, so keep your eyes peeled while playing. For the most part, the map that comes with the game (as well as the occasional use of the hint command) is enough to keep you moving forward. The visuals are very nicely done, and I enjoyed the various characters during the game. Definitely recommended. Rated 5 out of 5 by lakemj1 from Loved It. Engaging Storyline with Great Puzzles I love this series of games for their puzzle variety and challenge, Great fun! Plenty of challenge. Discover the fate of your exiled kingdom, save your people, and end the ancient evil that started it all!